Throw off the Bowlines... Explore. Dream. Discover. Did you know the Colorado River is over 1,400 miles long, is the sixth longest river in the nation, and passes through seven states and two countries? 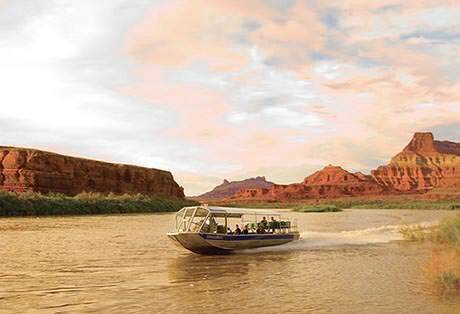 The Colorado River plays host to a plethora of amazing river tours and recreational activities, nowhere along those miles is quite like Moab, Utah. High adventure whitewater rafting, mild float trips, standup paddleboarding tours, and scenic jet boat tours can all be done right from our backyard. 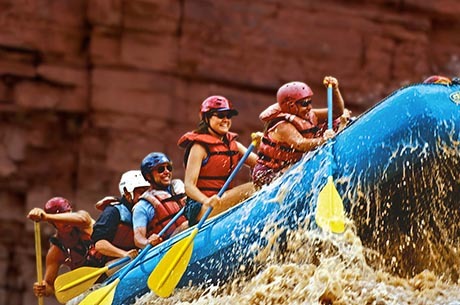 Now, all you have to do is decide which Moab river tour appeals to you the most! 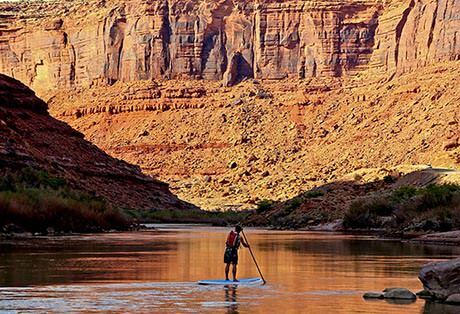 Life isn’t complete until you’ve ridden a raft down the mighty Colorado River. That’s a true fact, we read it online. Whether you’re partial to high adrenaline whitewater, a mild to moderate float, overnight trips, or just a quick full or half day on the river we’ve got that perfect rafting trip that will positively change your life, or at least your outlook. Stand up paddle boarding, or SUP as the cool people call it, is arguably the most popular river tour for first-time participants. We’re not surprised. It can be mastered by people of all ages and abilities, it’s social, it’s great exercise (unless you choose to let the current of the Colorado River do the work for you), and it’s a unique way to mingle with nature. We could continue listing reasons for you to try SUP but the long and short of it is; it’s just so much fun. Imagine in just a few hours being able to explore deep into the pristine Colorado River Canyons where the whispers of ancient civilizations still exist and the echo of a raven’s call ricochets along the towering cliffs above. Arches play peekaboo around river bends, beaver and river otter are sometimes noticed gliding across the water’s surface, and whether you see them or not, deer and bighorn sheep are certainly keeping a watch over the strangers in their wonderland. What to take, where to eat, where to stay, what to do, and a few little secrets on the side. 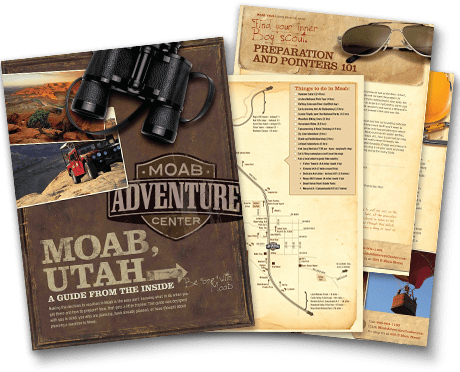 Not unlike your own personal Jiminy Cricket, (minus the worries of the little guy getting smooshed) the Moab Insiders Guide will provide you with all the essentials for a perfect Moab experience.